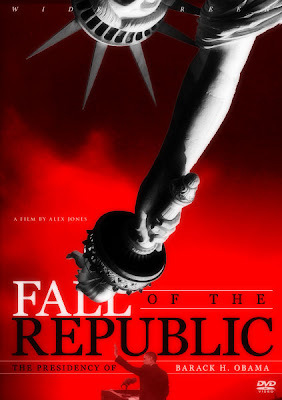 Fall Of The Republic is latest documentary by Alex Jones and is an absolutely must see! "Fall Of The Republic documents how an offshore corporate cartel is bankrupting the US economy by design. Leaders are now declaring that world government has arrived and that the dollar will be replaced by a new global currency. This film reveals the architecture of the New World Order and what the power elite have in store for humanity. More importantly it communicates how We The People can retake control of our government, turn the criminal tide and bring the tyrants to justice. " Please take the time to watch this documentary, it is truly eye opening.